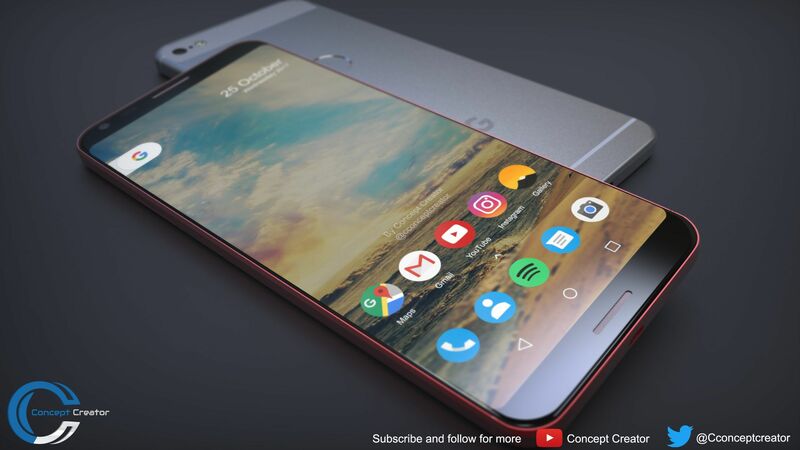 Following the leaks of the next-generation Google Pixel devices last week, YouTube channel Concept Creator came up with an idea of putting back the old puzzle pieces together, conglomerate it with the recent leaks to create a render which is enough to make any Google Pixel fans ecstatic. 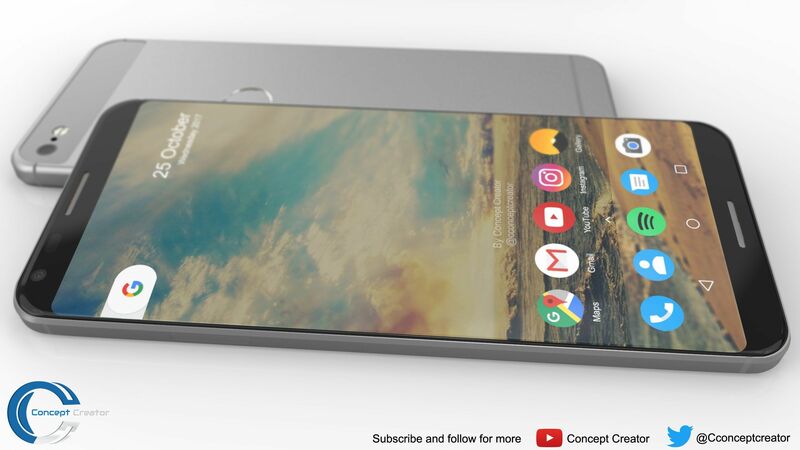 Concept Creator’s YouTube channel has been on the top of the class of creating really interesting renders of upcoming smartphones based on leaks and we have seen his works from Nokia 9 render (which was a massive hit) to iPhone Edition and now with Google Pixel 2 XL. 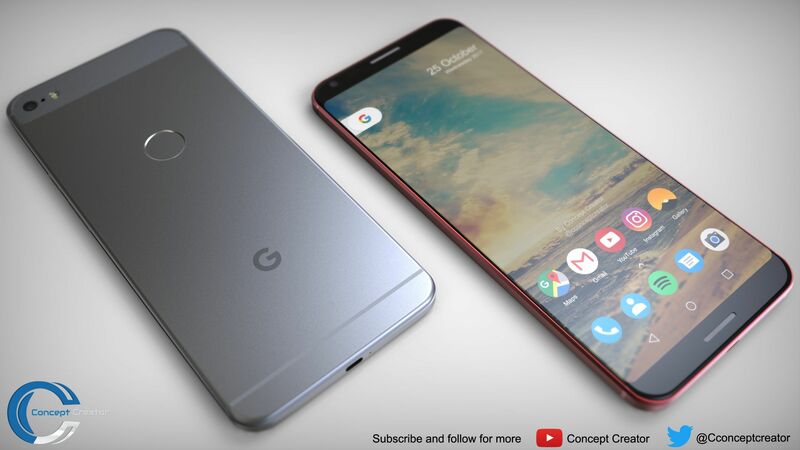 The Google Pixel 2 XL render shows a familiar design, the 2.5D near-bezelles display is a homage to LG G6 while the inclusion of the front-facing speakers at its top and bottom bezel is where it retained it’s original Google DNA. 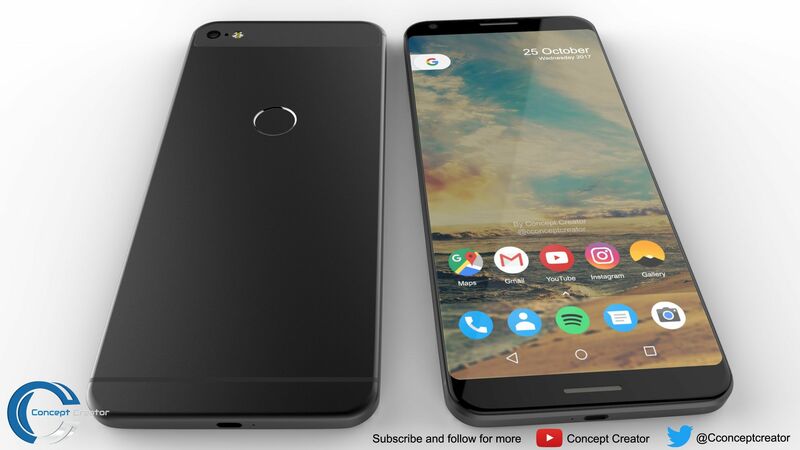 It actually reminds us of the Google Nexus 6P, which like the render, includes a circular fingerprint sensor at its rear. Although Concept Creator didn’t mention any specification on his video, the render he sent us hints some basic specification clues. The phone comes with 3.5mm headphone jack and USB Type-C, there is also a single rear-facing camera and LED flash with noise-canceling microphone in between. With the implementation of the dual rear-facing speakers, we expect the device to be a little thicker, but it wasn’t the case here. The top and bottom bezel of the device, although not as minimal as that of Galaxy S8, gives us a reasonable inch. The metal frame also denotes that weren’t any ugly camera protrusion in this device. The lack of dual rear-facing camera in this render is really not something that we will miss, although it is also a nice addition to have. 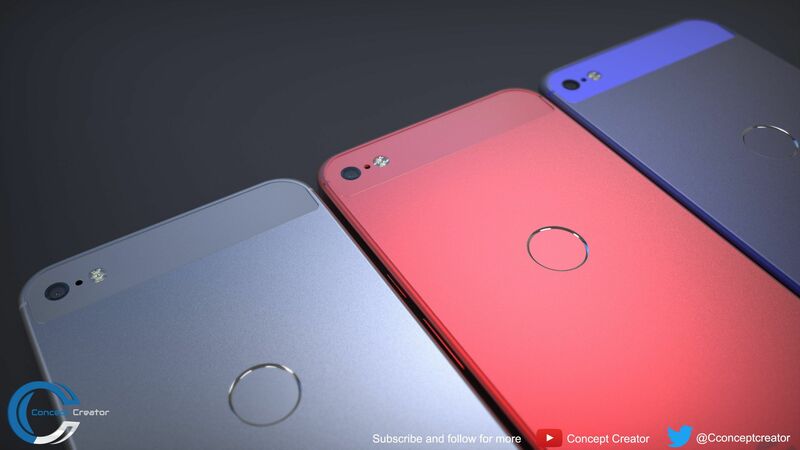 The device is said to come with three color variants, namely Silver, Red and the Pixel signature Blue. The Google Pixel 2 XL will come with Snapdragon 835 64-bit Octa-core SoC and is probably be sheltering a 6GB of RAM under the hood. The Google Pixel 2 XL will also run Android 8.0 out of the box and is expected to be unveiled Q4 this year. The original video is embedded below, so make sure to check it out.